Meeting Gustaf, Peder and Erik, we were immediately struck by their ambition: we want to create the global standard for size and fit when shopping clothes online. Big and bold ambitions – we liked it straight away! Virtusize solving a big and very important problem for both online fashion shoppers as well as retailers. 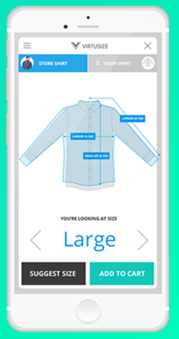 When buying clothes online – how do you ensure you get the right size and fit? Consumers either hesitate or buy loads, leading to retailers to loosing sales and/or having to handle large amounts of returns. We are continously impressed by the team’s tenacity to succeed. This is early stage venture, navigating the waters of a paradigm shift of an industry. Shopping clothes online is still (in 2016) in its early days, and despite several challenges, the Virtusize team are fully committed to their goal. With success in Sweden and now also in Japan, Virtusize is continuing their journey with the aim to create a global standard for the industry.